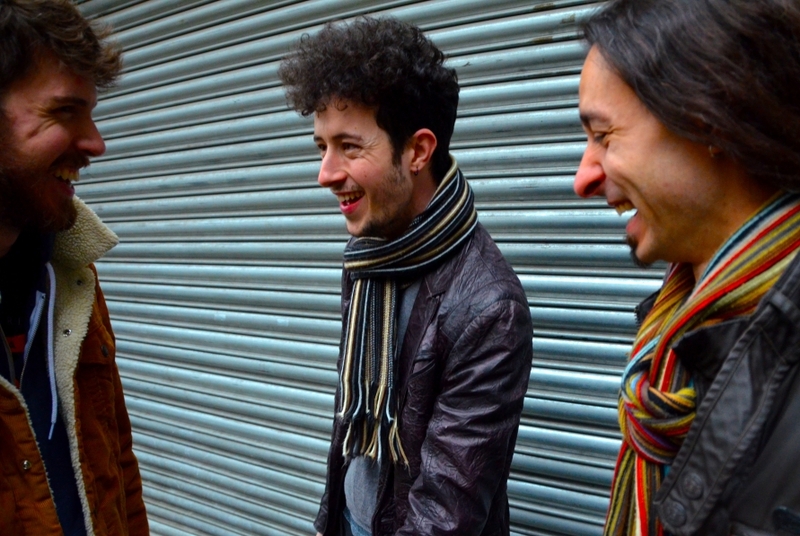 Nugget were formed in London in late 2013 by three virtuoso players, all strikingly young despite their experience, who create an idiosyncratic collage of original jazz-fusion and thrilling math-rock. An assemblage of genuine masters of their instruments, Nugget are prodigious Toronto-born guitarist and producer Julien Baraness, a graduate of Boston’s famed Berklee College of Music; Italian bass instructor Alex Lofoco, who studied at the London Tech; and fellow alumnus, drummer Jamie Murray, who, when not on Nugget duty, serves as a session sticksman at several London studios. The trio’s tunes are technically flawless but always accessible, displaying dynamic and structural clarity while mashing elements of metal, reggae, hip-hop and drum’n’bass. Jaw-dropping to experience live, Nugget have garnered rapturous acclaim at shows in London and the South of France, received endorsements from various pro-audio companies and now, with the release of their debut five-track EP, are ready to commence total cross-pollination of music’s most enduring genres.